Urban homeowners can beautifully integrate a small pool into their yard, regardless of lot size. Small pools add fun and fitness options to urban backyards. Many families are choosing homes on smaller lots in urban locations with close proximity to jobs, transit, services, and entertainment. From inventive tiny houses to clever small yards and petite pools, the trend to go small is BIG! You can enjoy the pleasures of pool ownership, regardless of yard size. With careful planning, compact city yards can come to life with the addition of small pools. A well-planned pool will add an attractive visual focus to your yard, bring hours of enjoyment and relaxation, and encourage family togetherness. Whether your home is located on a sprawling suburban-style lot, an expansive estate in the countryside, or on a compact city lot, swimming pool ownership is well within reach. Many homeowners want to add a pool to their yard to improve their lifestyle and outdoor enjoyment. A new pool can be life changing! Compact yards with small pools or “spools” enhance your family’s lifestyle options for recreation, fitness, and relaxation. In fact, maximizing the enjoyment of backyards and outdoor amenities is a key trend in the US. Many urban homeowners have the desire & vision to make the most of their yards. Do you? You can realize your dream by incorporating a small pool, patio, and garden into your backyard for an oasis of relaxation and enjoyment. Kids know there’s nothing more fun than splashing around with friends on a hot summer day. Small pools are a great way to get the kids outside and unplugged, enjoying physical activity and friendships. Caution: your yard may become party central! Small pools can also elevate the aesthetics of your backyard. As a focal point, pools can’t be beat! Gazing at a lovely pool of blue water can be restful and rejuvenating after a day at the office. Add a water feature for a mesmerizing, tranquil effect. Fitness fans know the many benefits of water-based exercise. Even a tiny plunge pool can provide the right environment for weight-bearing exercises without the joint stress associated with land-based exercises. Pools, patios, and gardens can be worked into almost any yard. With careful planning, you can maximize the useable area in your backyard for stunning results and an enhanced urban lifestyle. Planning the most attractive and efficient use of your yard is a fun challenge. Make good use of your yard’s available space to accommodate a petite pool and patio area. Give some thought to the activities you want to accommodate in your yard. Make a list and share it with your local pool builder. Small pools can be stylish and luxurious. They can include features you’d only expect to find in big pools. Accent your small pool with dramatic lighting, refreshing water features, and exciting fire bowls for big visual impact. 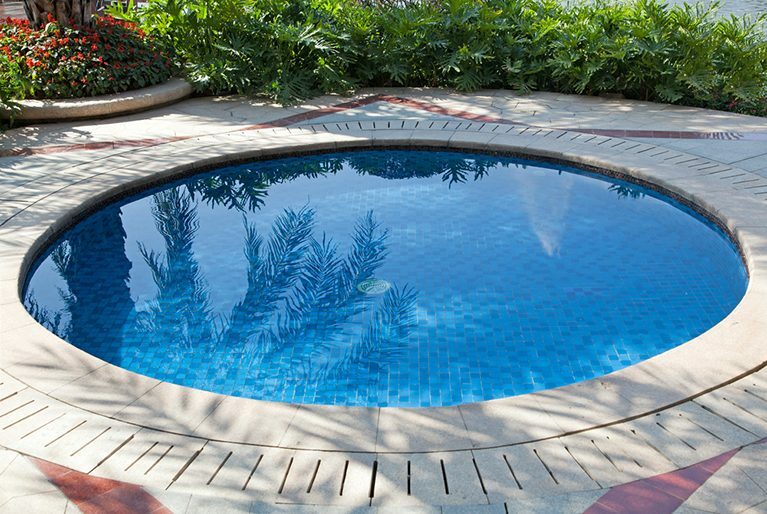 Your pool builder can offer valuable advice on all aspects of small pool design & ownership. Make good use of the available space. 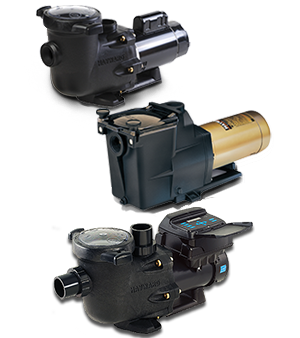 Maximize pool exposure to the sun. Locate the pool in proximity to other entertaining areas of the home. Consider the best views, inside and outside. 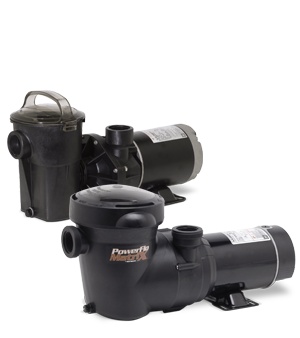 Locate pumps and other pool equipment in a convenient location. Allow for sufficient deck area for outdoor furniture. Plan for pool safety and security. 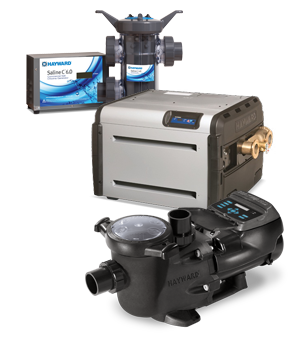 Provide access for pool maintenance. Comply with local zoning ordinances and applicable laws. Consider styles that are compatible with your home’s design. Take into account your own personal taste and style. Use materials that are beautiful and long-lasting. Add non-slip surfaces as needed. Include steps & railings for easy access in and out. Integrate the pool with the patio or deck. Consider various shapes & depths. Add flower accents and plantings on a seasonal basis. Include fire bowls or a fire pit for cool weather enjoyment. Consider pergolas and sheds to add sun control, shelter, and storage. Get inspired! View inspiring pool photos, including those at MyDreamPool.com. Small pools offer a better backyard experience for urban homeowners with small yards. Yard size is not a barrier to pool ownership. Although small yards present a unique design challenge, you can make good use of your yard’s available space to accommodate the petite pool of your dreams. Get all the benefits of a pool, including recreation, fitness, and relaxation. Contact your local Hayward pool builder for expert advice and assistance in planning & building your own small backyard pool. Read our blog article: What it Takes to Build a Special Pool Environment.